Here at the UK Business and Sports News Blog we can provide you with a number of UK (B2B) business advertising and sponsorship opportunities for advertising to our 100,000+ UK Business and Sports News blog followers or 300,000+ combined Social Media Following across all blogs and all Social Media. Private Social Platforms – Web Marketing and Communication System for Large Organisations or Communities of people – Community Engagement Platforms. 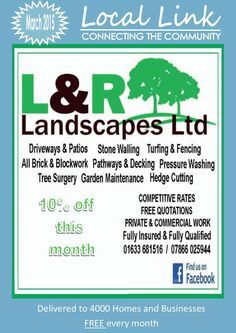 Local Magazine Business Advertising – Local Geographically based Magazine Advertising for Local / Targeted Advertising. National Magazine Business Advertising (Advertise in a National Food & Lifestyle Magazine on sales in WHSmiths and online – “Aimed at an audience of ‘food lovers’ with an adventurous palate and intrepid travel interests”. Appear in 25,000 copies with a reach of up to 75,000 people for prices from just a few hundred pounds). Branding (Logos, Graphic Design, Marketing Literature, Online Branding). Branded Promotional Merchandise (Branded Office Equipments, Branded Stationary, Branded Clothing, Branded Exhibition Equipment). Printed Brochures & Leaflets, plus office stationary, business cards etc. Leaflet Distribution (Door 2 Door Distribution & B2B business distribution). Sky TV Advertising (Local, Regional & National targeted TV advertising). We can get you advertising from £25 to £100 in Local Magazine’s/Directories for Newport & Cardiff (distributed to 9,000 homes) . 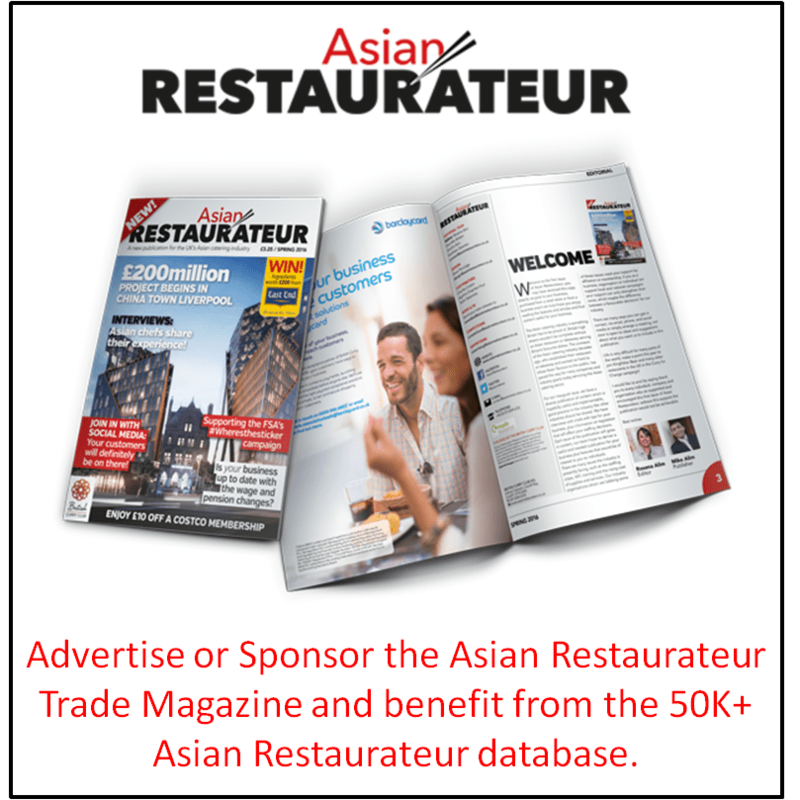 We can also get Advertising or Sponsorship in a National Food / Lifestyle mag or an Asian Restaurateur Trade Magazine for prices from £250 (distributed to 17,000+ restaurants and emailed to a database of over 50K. MA Consultancy also works with Private Social Platforms to offer business and organisations in Wales the ability to have their own branded social media platform (also know as social engagement platforms). Private Social Platforms specialise in the provision of online services that help organisations of all sizes to engage, communicate and connect with their members, supporters or employees through the provision of a cost effective, private social platform. In the past this type of service has been cost prohibitive to most organisations and this opportunity was seized upon by a number of large, well funded social organisations providing the use of their branded services as long as you promote their branding, build their asset values and generate them advertising revenues. Well no more, we have removed these historic barriers by providing you with your own state of the art social network, branded as your organisation with no capital outlay cost to your organisation. or for more about Privater Social Platforms please see: Branded Social Networking Platforms for Business or call: 07517 024979. For more about our Business Advertising opportunities via Blog Advertising, Social Media Marketing, Private Social Platforms and Banner Advertising etc. please see our Regional Marketing Brands. We can offer banner advertising for as little as £50 per month (on blogs) and £100 per month (on community engagement platforms), Press Releases* for Free (one off) or Monthly Campaigns for prices from £50 to £500 (depending on Coverage & Frequency) and Advertorials from £50. *We can provide 1 Free Article or Press Release for FREE – See Free Marketing & Advertising for Welsh Businesses and Free Marketing & Advertising for UK Business, then we can provide a PR Campaign from £50 to £500 per month depending on exact requirements and coverage / frequency requirements. We can offer banner advertising for as little as £50 per month (on blogs) and £100 per month (on community engagement platforms).